Now, perhaps more than ever before, retirees across America are returning to work. For many, this comes from financial necessity. As the costs of healthcare, housing, and other living expenses rise, many retirees find that their savings will no longer cover that basic costs of living. Other retirees might base the decision to return to work on a more personal desire to explore a second career or hobby or to share one’s experience with the next generation of workers. In either event, returning to work can affect a person’s Social Security and Medicare benefits. With the guidance of an experienced New York elder law attorney, retirees can make effective financial plans that allow them to return to work and meet their financial goals. What Happens to Social Security Benefits When a Retiree Returns to Work? A worker who reaches full retirement age is entitled to full Social Security benefits without any deductions for current earnings. The Social Security Administration calculates a worker’s full retirement age based on the year of that person’s birth. For those born before 1938, it is 65 years of age. For workers born between 1938 and 1959, the full retirement age gradually adjusts until it reaches 67 years of age for those born after 1959. The full retirement age will probably continue to increase along with life expectancy. But what if a person retires before the full retirement age? It is possible to receive a portion of one’s Social Security benefits before reaching the full retirement age. In such a case, Social Security will reduce partial benefits if the recipient earns more than the annual income limit. The Social Security Administration’s 2018 earnings limit is $17,040. A person receiving partial benefits who earns more than this amount will see partial benefits reduced by $1 for every $2 earned above the annual limit. In the calendar year in which the recipient reaches full retirement age, Social Security will reduce partial benefits by $1 for every $3 earned above a different set limit (currently $45,360). This restriction only continues until the month in which the recipient reaches full retirement age. 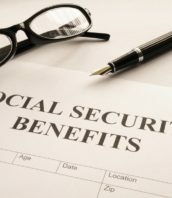 At that point, the retiree is entitled to receive full Social Security benefit payments without any deductions for other earnings. You may start receiving benefits as early as age 62 or as late as age 70. Your monthly benefits will be reduced if you start them anytime before “full retirement age.” In addition, delayed retirement credits may be added to your benefits if they start after your full retirement age. However, the benefits increase no longer applies when you reach age 70, even if you continue to delay taking benefits. What Happens to Medicare Benefits When a Retiree Returns to Work? Another important financial consideration when returning to work is access to healthcare coverage and medical benefits. For some retirees, health insurance constitutes the sole reason for returning to work at all. When Medicare and a private insurance plan both cover a person, “coordination of benefits” rules will determine the primary payer and the secondary payer. A primary payer receives a claim first and pays the full extent of its coverage. A secondary payer then receives the remainder of the claim for coverage of the balance. The insured party is then responsible for any balance that neither insurer covered. Whether Medicare is your primary or secondary insurer will depend upon the specific Medicare program or programs in which you enrolled, and the provisions of the private health insurance coverage offered by an employer. Understand how these benefits will coordinate before accepting a new job offer. If, for example, the medical insurance offered at a new job must serve as the primary payer, but offers poor coverage, this could potentially leave you in a worse position than leaving Medicare as your primary (and sole) medical coverage. Confirm the details of a private insurance plan before making plans for future employment—especially you base these plans on new access to a private healthcare plan. In addition to the possibility of reduced Social Security payments or decreased Medicare coverage, a retiree must consider the other costs associated with employment. Transportation, food, business attire, and payroll taxes can all add up to an amount that quickly exceeds the profit of employment. An experienced elder law attorney can help you anticipate your benefits and coverage before you begin new employment. In the event that a new job is not the right solution for your financial situation, an attorney can also help you explore other methods of meeting your financial goals. Medical bills often demand a disproportionate share of a retiree’s income. If Medicare is not providing you with the medical coverage you need, you may access different Medicare plans or Medicaid benefits. Paying for a private supplemental plan that provides sufficient coverage to offset the premiums may also prove worth the investment. Of course, medical expenses are not the only costs for which a retired person must prepare. Retirees need access to regular income to pay for daily living expenses. If you have significant principal assets, a conservative investment strategy may provide you with regular interest payments or dividends. If you currently have cash investments or real estate, review the management of these assets to ensure that you receive the maximum benefit from them. An attorney can also help you determine how best to maximize your Social Security income. Don’t leave your Social Security or Medicare benefits to chance. Consult an attorney to prevent the reduction or denial of your benefits as a result of new employment or other sources of income. The attorneys at Goldfarb Abrandt Salzman & Kutzin have decades of experience making benefits available to those who deserve them. Call (212) 387-8400 today to schedule your consultation.